If you guys have been watching my Instagram carefully, you probably have seen some of these pictures already. Time to share some more just because you loved it so much! I can’t believe that this was my first time in Cuba. Cuba is one of the hotspots nowadays. It seems like everyone is planning a trip to see the authentic island before it changes. I decided to explore the Island in an old red Chevrolet with an Englisch-practicing taxi driver. I mean, If we are going to explore the Island we might as well do it in style, right? be able to use local ATMs, and you will run out of money. Super old fashion, very charming! This dress is an absolute must-have when it comes to your summer attire. It’s from the brand FSTVL by MS MODE. You guys have been sliding my DM more than ever over this dress. Thank you for that because I just love to help you guys out when it comes to sizing and my honest opinion about fabric and fit. Sizing: I’m wearing a size 48 here. The dress has a wide fit but still, I chose to go a size up. The dress is very true to size and you could easily go with your regular size. You could easily dress it up with some heels or down with some flip flops. It’s all up to you. The Color is so vibrant and you can’t go wrong with a floral print, when they’re styled in a fun way, florals never fail to feel fresh and exciting, don’t you think? The touches of straw with my hat and bag add an even more summery vibe to this look. The grand architecture and colorful buildings are so impressive and beautiful. 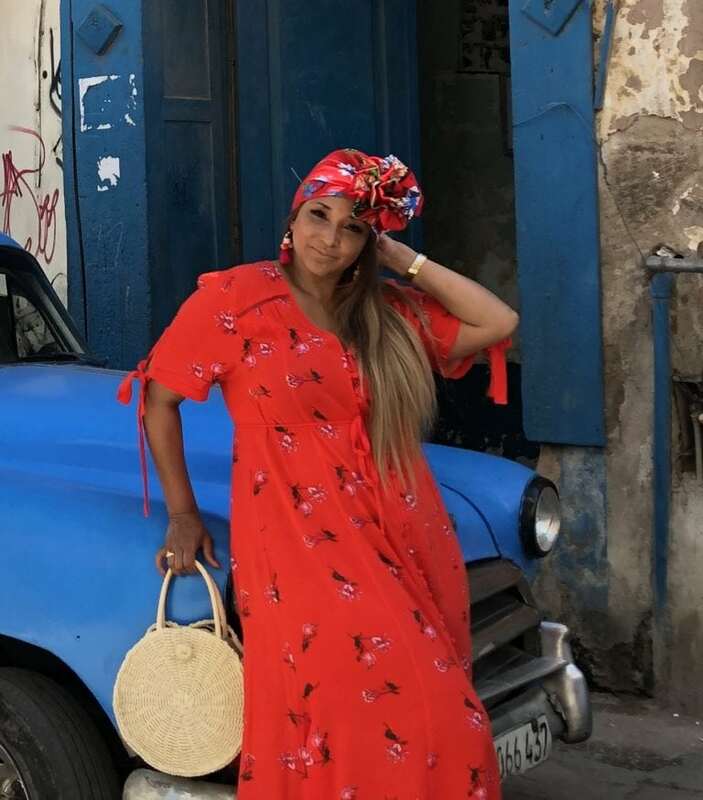 Have you ever been to Cuba and how do you feel about bold floral dresses? The photos look beautiful! And it is true, that dress is gorgeous and perfect for your trip.